ITRC NEWS @ Idaho State University: What Should be in your Course Syllabus? What Should be in your Course Syllabus? Instructor Information - how can students contact you? What are your office hours? Textbook Requirements - provide a link to the bookstore or a website for renting or purchasing the book. Is the book available as an e-book? Course Objectives - what will the student learn in this course? Communication - how should students communicate with you and when will you be available? How should students communicate with each other? When are students required to log into the course to view announcements and updated course information? How long will it take for you to respond to an email message or question posted to a forum? Attendance - how will this be tracked? How often do students need to log into the course? Participation - clearly state the time commitment with detailed course pacing, due dates and requirements for participating in activities. Technology - what skills are necessary to be successful in the course? What is the policy if their computer fails or their Internet goes down? What software will they be required to use outside of the LMS? Who do students contact for technical support with the LMS? Policies - what is the institution's policy and what is your policy on things such as academic honesty, late work, absences, etc. Provide a link to the institutional student handbook or webpage. Student Services - provide specific information on how to find student resources for disabilities, counseling, tutoring, etc. Provide phone numbers, locations, and a link to the website for each service. Student Conduct - explain to students how you want them to behave in the course and what the consequences are of any unacceptable behavior. Provide information on student netiquette - don't assume that your students know how to communicate properly with technology. The Importance of Policies in E-Learning Instruction by Waterhouse and Rogers provides excellent examples of the types of student policies that should be covered in an online course; a student code of conduct contract; and examples of intellectual property rights policies. 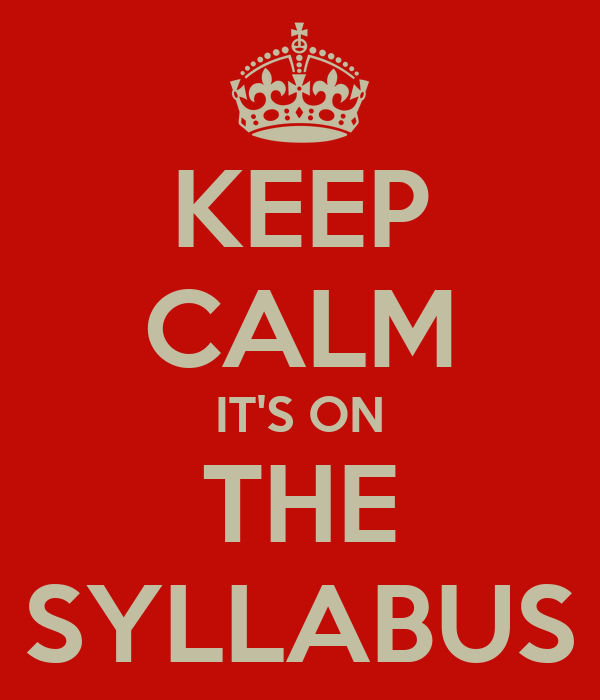 Need Help Developing Your Syllabus? The Instructional Technology Resource Center at Idaho State University is available to assist you with utilizing tools within Moodle such as the Book or special blocks to deliver the syllabus information in an effective and efficient manner.